Waiting until the absolute last minute to complete a mandatory task is how I get my thrills. For me, and (I suspect) for my fellow procrastinators out there, being able to finish a gargantuan job in a time crunch is an exhilarating, albeit stressful adrenaline rush that feels extra good when you get away with doing it -- even if it means body checking the occasional shopper come December 23rd in order to make it happen. As it turns out, I'm not alone. According to a recent survey conducted by Business Wire, 65 percent of holiday shoppers scramble to get it all done the last two weeks before Christmas. But from where I'm sitting (no presents purchased with a zero percent chance of starting until at least the end of this week), you don't need a ton of lead time in order to finish all your holiday shopping. 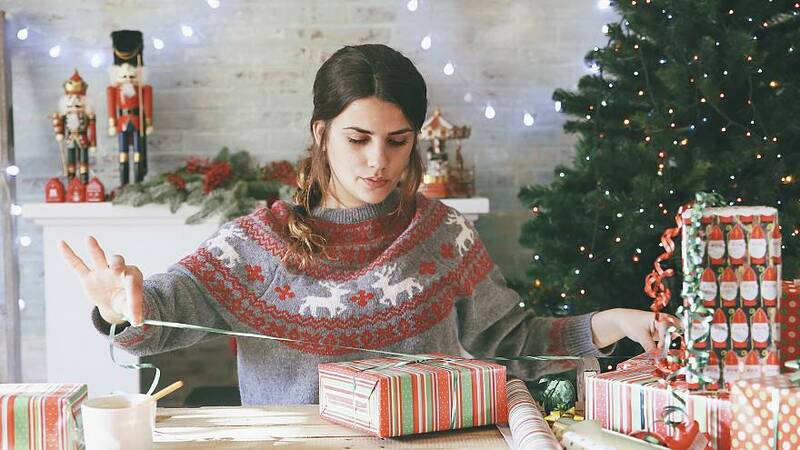 Here's how to shop smarter during holiday crunch time. The closer you get to December 25th, the more money you're going to shell out in shipping costs. But it's still an option — even up to a few days before Christmas. "For shoppers who bought a present close to Christmas and need to mail it cross-country, FedEx offers same-day shipping in all 50 states throughout the year," says Sarah Hollenbeck, shopping and saving expert at Offers.com. "That means you can ship an item on Christmas and have it arrive the very same day, but it'll cost you. Shipments weighing up to 25lbs cost $235, so plan wisely." "If you're shopping for last-minute gifts, Amazon typically offers options right up until December 23rd," says Lindsay Sakraida, director at DealNews. "They're planning on offering same day delivery for select items until 9:30 am local time on December 24th. If you're really cutting it close, Amazon is your best option." To save time and money on shipping, take advantage of in-store pickup options. "Reserve the item in store and pay online, then walk to the in-store pickup area of your local store," says Sakraida. "You have the peace of mind knowing that you aren't making a trip in vain. You won't have as much time to bounce from store to store, so some preliminary research into what store is more likely going to fit your needs is your best bet." Don't limit your holiday gift ideas to what you'd find at packed department stores or mall outlets, either. "Clever, thoughtful DIY gift baskets and BYO packaged gift sets can be built using items you find in your corner drugstore or local grocery store," says Krista Fabregas, shopping and retail analyst at FitSmallBusiness.com. Fabregas suggests putting together a quick gift basket with a theme — from beauty and skincare to baking, barbecue or a certain cuisine that the receiver loves. "These sets can all be assembled without trekking near the mall," says Fabregas. "You can buy and build these as late as the 24th using any number of easily procured grocery goodies." Regifting has saved me a ton of time and money over the years, but there are a few ground rules to keep in mind. Personally, I only regift things that aren't a great fit for me but would make someone else happy (ex: a new at-home workout system that I can't do in my studio apartment). Aside from being real with yourself about whether or not this is actually a solid gift, Fabregas says to make sure you're gifting it to someone who isn't connected with the original gift giver. "Regifting an item outside of the same circle of family or friends that you received it is generally a safe bet," she says. "Anything that's new in appearance or in original packaging is fair game. Don't sweat giving items that are like-new, but have labels or price stickers removed. You'd remove the price stickers anyway when giving these gifts." Genius, right? "GiftNow is service (offered by Target, Neiman Marcus and Macy's) that seems almost custom-made for procrastinators, but makes you look extra thoughtful," Hollenbeck explains. "Instead of having the gift mailed to you to wrap or mailed to the recipient, the retailer will send the recipient an email that displays the gift you picked out. The recipient can then choose their preferred color and size or exchange it for something else. Because the GiftNow email can be sent instantly, your gift 'technically' arrived by Christmas — even if you ordered it on Christmas." Another thoughtful last minute gift that you won't need to pay extra shipping for? Gifting an experience. "Choose something that fits with the recipient's personal interests or hobbies," suggests consumer savings expert Andrea Woroch. "For instance, for someone who is creative or enjoys crafting in their free time, look for a certificate to a pottery class. They're super easy to give in a pinch because you can print the certificate or send it via email to a loved one who lives hundreds of miles away," says Woroch. Subscription boxes with the same thought behind them work well as last minute gifts, too. "Hand your loved one a printout on Christmas that shows which box they're getting, and they get to look forward to a box every month, starting in January," says Hollenbeck.